As the end of the year approaches, you have plenty of things on your “to-do” list before the start of the new year, but is visiting the dentist also on your list? Now is the perfect time to visit the dentist before the year ends to maximize the value of your dental benefits. As a family dentist in Columbia, we will help you make the most of your dental benefits before they expire at the end of the year. Why Should I Visit the Dentist Now? Everyone over the age of two needs to visit the dentist twice a year for regular checkups and cleanings. However, many tend to delay their semi-annual appointments due to the fear of unforeseen costs. If you have dental insurance or flexible spending accounts, you can pay little to no cost at all for preventive and diagnostic care. But, if you do not visit the dentist before the end of the year, you could miss the opportunity to receive the care you need. Your dental benefits do not carry over to the next year for accumulation. Instead, your dental benefits will expire if you do not use them. If you have dental insurance, the majority of dental policies cover preventive and diagnostic appointments in full, including x-rays. 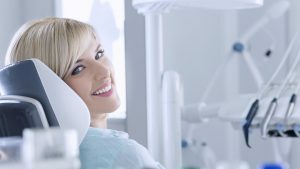 These preventive appointments are covered twice a year to ensure you visit the dentist regularly as regular appointments are vital to preventing further dental complications. In addition to preventive care, you are also given a yearly allowance to use toward restorative and other necessary treatments. Often, your insurance will cover common procedures, such as dental fillings and root canals by as much as 80 percent. As a result, you will have a very minimal out-of-pocket expense, if any expense at all. Instead of dental insurance, you may have a flexible spending account. A flexible spending account is money you pay into a special account over the year to help you cover the cost of dental care. You can use the funds in your account for preventive care, deductibles, co-payments and much more. However, if you do not visit the dentist throughout the year, only a small portion of your funds will carry over to next year. As a result, you are basically throwing money away. If you have dental insurance and a flexible spending account, you can use both together to make your dental care even more affordable. To ensure you maximize the full value of your dental benefits, we will help you understand your benefits and how to make them work in your favor. The end of the year is almost here. Do not miss the opportunity to visit the dentist by using your dental benefits before you lose them. As your family dentist, we will work with your insurance company and flexible spending account to provide complete, affordable dental care. If you are ready to maximize your dental benefits, contact Columbia Healthy Smiles today to schedule an appointment before the year ends.